Don’t you find the Universe amazing? This week it really seems to be working to get me this similar message. That is the message of healing a very old hurt. My personal belief that I am alone, will always be alone, and am only safe when alone. 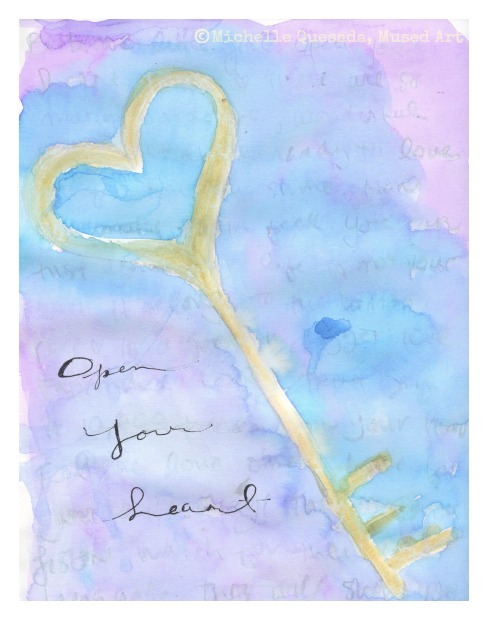 I worked on completing week 29’s lesson, Making Our Key to Freedom, which was taught by Danita (one of the most precious art makers). Before starting, she had you watch Tara Brach’s Beyond the Prison of Beliefs, which I found to be a powerful healing exercise in itself. Next, you were to write that old hurt, feelings, and thoughts it a white watercolor crayon. I chose to write a story. 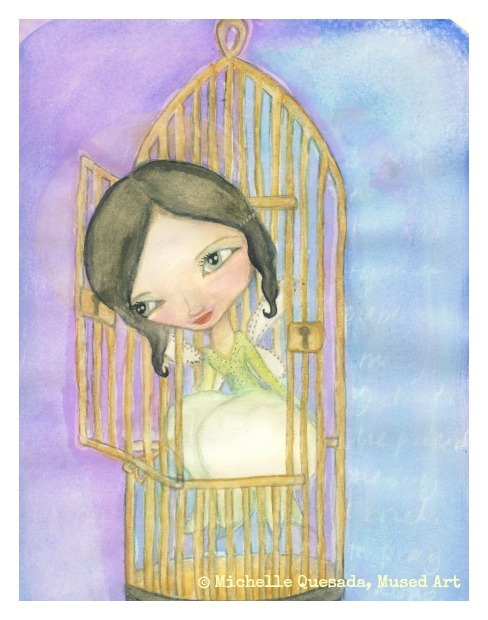 Then you drew your cage and your figure with your key to freedom. I used watercolor for this journal page. On another page, you wrote your answer to being free from your cage (your old beliefs). My new belief is that I am safe. It is okay to love and trust. This new belief is one that I have understood in my mind for some time, but I really appreciated the video and journal exercise because I was able to “feel” this in my body as well. This entry was posted in Lifebook Projects and tagged art, art journaling, creativity, healing, Lifebook. Bookmark the permalink.